 General appearance: A cobby, well balanced square little dog, giving appearance of measuring the same from withers to tail root as from withers to ground. Characteristics: Smart little dog with disposition of a terrier. Two varieties, rough-coated, Griffon Bruxellois and smooth-coated, Petit Brabancon. Both with pert, monkey-like expression, heavy for size. Head and skull: Head fairly large in comparison to body, rounded but in no way domed, moderately wide between the ears. Hair on skull of roughs rather coarse. Nose always black with large, wide-open nostrils and definite stop between muzzle and skull. Relatively short, wide muzzle, neat lips, with good turn up. Chin prominent, in roughs furnished with beard. Ears: Semi-erect, high set, the smaller the better. Body: Short back, level from withers to tail root, neither roaching nor dipping; deep; well sprung ribs; short, strong loin. Coat: Roughs: harsh, wiry, free from curl, preferably with undercoat. Smooths: short and tight.